The Times Hostel - College Street Distance to the centre of town 0.5 km price per day from €17 The Times Hostel has modern, simple accommodation close to Trinity College, Grafton Street, Temple Bar and O'Connell Street. All bedrooms are en suite and feature new showers and toilets. The hostel has free Wi-Fi in public areas, free 24-hour luggage storage, free tea and coffee and free phone calls to 40 countries. The 24-hour friendly reception offers local information, with complimentary city maps and travel guides. 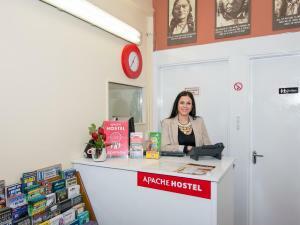 The Apache Hostel Distance to the centre of town 0.7 km price per day from €14 The Apache is 200 metres from Dublin Castle and a 5-minute walk from St Stephen's Green. It offers affordable accommodation, free Wi-Fi and a rooftop terrace. 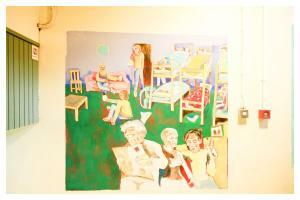 The Apache Hostel is located in the vibrant Temple Bar district of Dublin. The hostel has a 24-hour reception and is surrounded by a fantastic selection of bars, restaurants and clubs. Guests receive a discount at the nearby Apache Pizza Restaurant. MEC Hostel Distance to the centre of town 0.5 km price per day from €92 Featuring free WiFi throughout the property, MEC Hostel offers accommodation in Dublin, 900 metres from Croke Park Stadium. The hostel is based in a renovated Georgian building on one of Dublin's historic streets. Guests will benefit from lounges, a terraced garden and a large self-catering kitchen and diner. All rooms include a private or shared bathroom with free toiletries. Additional features include a free in-room locker (own padlock required) and a communal games room with ping pong, table football and a pool table. 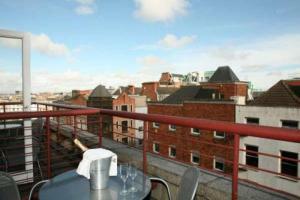 Paramount Hotel Distance to the centre of town 0.8 km price per day from €59 The boutique Paramount Hotel is in Dublin’s Temple Bar district, 500 metres from Dublin Castle. It offers stylish rooms designed in a 1930’s theme, free Wi-Fi, a bar and nightclub. They feature a flat-screen LCD TV, safe, work desk and tea/coffee-making facilities. In the evening, it transforms into a vibrant nightclub. The Gaiety Theatre and St Patrick’s Cathedral are both less than half a mile away. George Frederic Handel Hotel Distance to the centre of town 0.9 km price per day from €68 In Dublin’s fashionable Temple Bar area, this hotel with free WiFi is set within a quiet location on the historic Fishamble Street. The George Frederic Handel's elegant rooms include private bathrooms, and the Olympia Theatre is a 5-minute walk away. With classic furnishings, each room at George Frederic Handel Hotel includes a flat-screen TV, an en suite bath and shower room and a seating area. 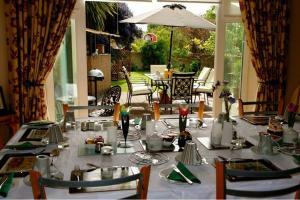 A full cooked breakfast is available each morning. Jackson Court Hotel Distance to the centre of town 1.6 km price per day from €39 The Jackson Court Hotel Dublin is located in the centre of Dublin, just a 5-minute walk from Grafton Street and St. 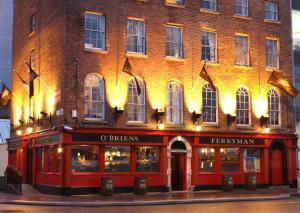 It offers an on-site nightclub and full Irish breakfasts. The Georgian building offers rooms with a private bathroom. The hotel provides hairdryers, safes, and irons upon request. O'Connell Street, St Patrick's Cathedral and Trinity College are just a 5-minute walk away. The LUAS tram stops just outside the hotel’s door for easy access to the rest of Dublin. Clifden House (Formerly Clifden Guesthouse B&B) Distance to the centre of town 0.7 km price per day from €45 In the heart of Dublin city centre, this Listed Georgian house has secure parking for a surcharge. O'Connell Street and Croke Park are within a 5-minute walk from Clifden House (Formerly Clifden Guesthouse B&B). Each en-suite room at Clifden House (Formerly Clifden Guesthouse B&B) has free WiFi, a TV and tea/coffee facilities. There are no hairdryers or ironing facilities in the rooms, however these items can be rented for a refundable deposit. 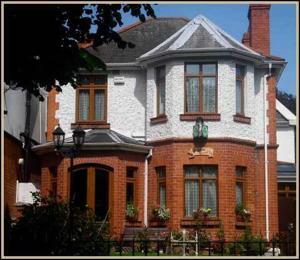 Grafton Guesthouse Distance to the centre of town 0.9 km price per day from €74 Just a 5-minute walk from Temple Bar’s pubs and bars, the Grafton Guesthouse and Dublin Castle is within 500 metres of this bed and breakfast. The banks of the River Liffey can be reached after a 5-minute journey on foot. Clontarf Castle Hotel Distance to the centre of town 3.9 km price per day from €99 Set in an 11th-century castle the Clontarf Hotel combines ancient architecture with 21st-century facilities. 10 minutes’ from Dublin city centre, this boutique hotel offers an award-winning restaurant and luxurious bedrooms. Rooms at the Clontarf Castle Hotel feature air-conditioning, LCD satellite TVs and free Wi-Fi. The Fahrenheit Grill serves fine cuisine and specialises in local beef and fish dishes. Egans House Distance to the centre of town 1.9 km price per day from €40 Situated 5 minutes' drive to Dublin city centre, Egans House offers home-cooked breakfasts and affordable rooms. Rooms at Egans House all feature free Wi-Fi, tea and coffee-making facilities, a flat-screen TV, safes and ironing facilities. Rooms include an en suite bathroom with a shower and a hairdryer. 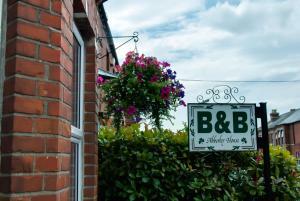 Each morning the B&B offers a traditional Irish or continental breakfasts. The lounge has free tea and coffee all day, a large TV, stereo, piano and a computer with internet access.